Often referred to simply as Solomon's Seal, because of its growing form this plant is quite distinctive; however,, because of its favoured habitat of darkish woodland edges, it is easily overlooked. Reaching a height of 90cm, Solomon's Seal is a rhizomatous perennial with arching stems of alternate leaves, and s pendent tubular white greenish-white flowers that hanging from the undersides of the unbranching stems. The flowers of this species are quite distinctly constricted or 'waisted' part way down. Once the flowers have died back they are followed by blue-black berries. 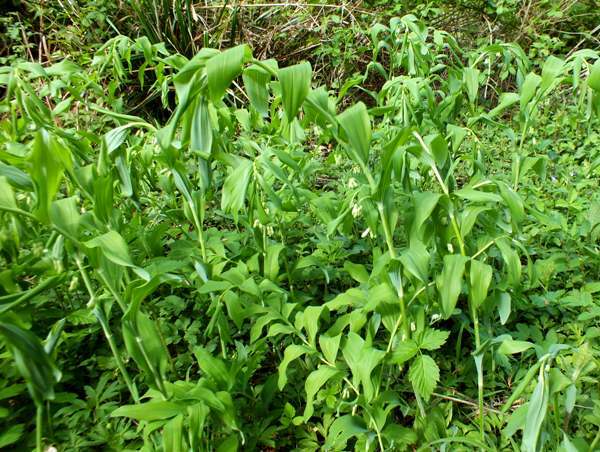 Solomon's Seal is locally common only in the southern half of England and Wales, and it is also found in the northeast of Ireland, but across most of Britain and Ireland it seems to be becomong increasingly scarce. This species is still fairly common throughout most of mainland Europe, and it has a range extending eastwards into Asia. 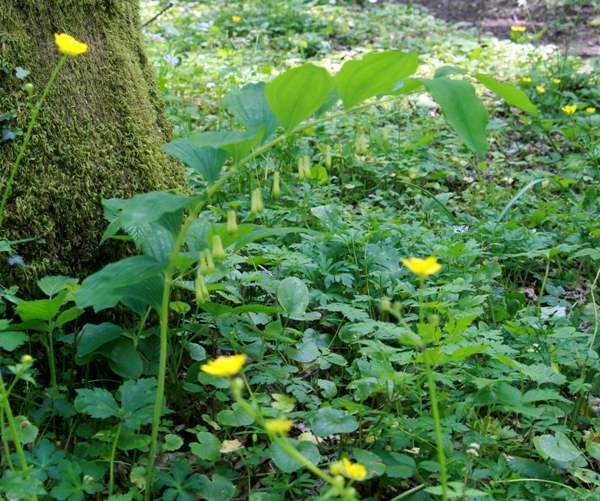 We have seen Common Solomon's-seal in Wales, England, France and Slovenia as well as on the Gargano Peninsula in Italy. 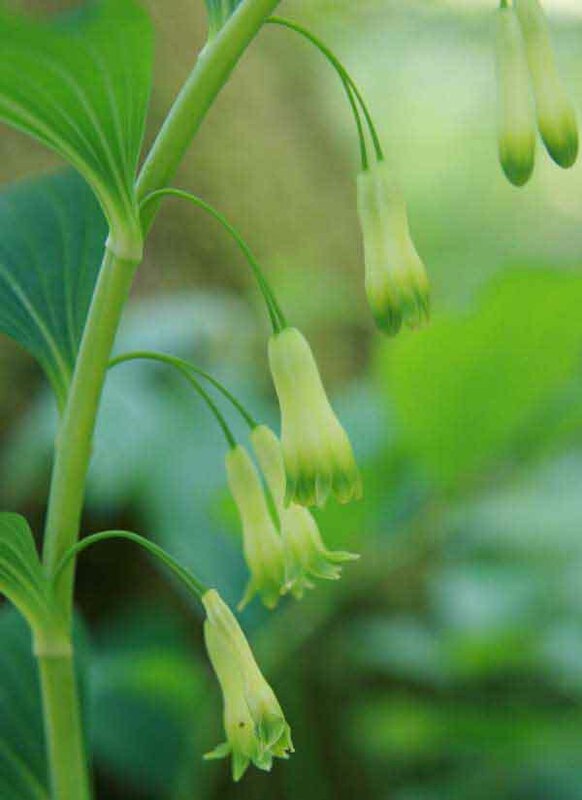 Common Solomon's Seal grows on the edge of woodland or in light open woodland positions, and prefers it calcareous soils. This is a taller plant than its less-common close relative, Angular Solomon's-seal Polygonatum odoratum, which grows to around 60cm in height. Common Solomon's-seal flowers from May to June.